As just one of many initiatives all around the world which promote and reward youth innovations and youth engagements on matters that concern sustainable development, the European Youth Awards 2016 have been announced. This year the categories in which participants from all parts of Europe competed were: Healthy Living, Smart Learning, Connecting Cultures, Go Green, Active Citizenship, Money Matters, Open Innovation and the Special Category for 2016 named: Migrations/Integration/Inclusion/Refugee Movement. In the middle of October the winners in most categories were selected. The award in the category Healthy Living was presented to the app called “Be My Eyes”; “Animal Hero Universe” took the award in the category Smart Learning; and VEASYT Live! took first place in the category Connecting Cultures. HAIZE/Fresh.land won the award in the category Go Green; AdoptGrandFather.org for the category Active Citizenship; and Poslonaut/HireApp in the category Money Matters. The remaining categories’ winners are to be announced on October 19th. 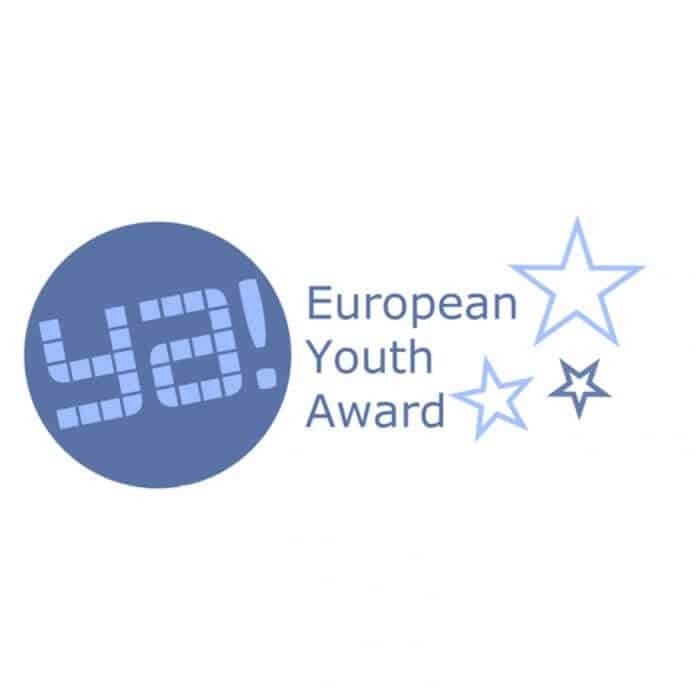 The awards for the selected projects will be presented at the European Youth Awards Festival – commonly called the EYA Festival. The dates have been set, so in case you are searching for an inspirational and motivational event to attend, make sure to be in Graz, Austria on November the 30th. After reviewing all of this year’s winners, one has to observe that Spain and Denmark were the over-all winners of this year’s EYAs. This pan-European contest, designed to motivate young people, social entrepreneurs, and start-ups to create digital projects with social impact, has caught the eye of youth from around Europe. The jury had 167 amazing projects to review before deciding on winners from each of the above-mentioned categories. Let’s review the projects that have been selected from Spain and Denmark, take notes, and work to get our own countries’ flags displayed at the EYA next year with our winning projects. In the category Smart Learning, Spain won with the trans-media project Animal Hero Universe, created for children with Down syndrome (DS). This project is composed of a Kinect video game, a documentary with testimonials, a children’s book, an iPad video game, and a website. The overall project was created in collaboration with medical specialists and is designed to improve the autonomy and skills of children with DS. The 2nd category in which Spain has won is Go Green, and the project is HAIZE, a minimalist urban bike navigation project. The HAIZE is a smart navigation device that contains app technology designed for urban cyclists. It was created to help them ride, explore, and stay safe. It offers simple and safe navigation tools that focus on bike lanes and that are adapted to users who cannot use their mobile phones while cycling. It will enable cyclists to explore new routes to get to their destinations without the fear of getting lost. The project is a true inspiration, and it will surely be used, especially in urban areas and cities where the use of bikes is promoted on a daily basis. The last, but not the least, Spanish project that won the EYA this year is AdoptGrandFather.org, in the category Active Citizenship. This is a volunteer platform for providing company and communication between youth volunteers, the elderly, and care-giving institutions. The target group for this project is families in need of caregivers who lack the resources to pay for them in a conventional way. The overall idea is to connect the young and the elderly in a win-win situation. The elderly will get affection while young people will get the opportunity to learn life lessons. Moving on from sunny Spain and its inspirational projects, let’s head to Denmark to see what the innovators from this part of Europe have done to win two EYAs this year. The first project, named Be my Eyes, won the award in the category Healthy Living. Designed to help the blind and the visually impaired, this mobile app is surely going to be used worldwide soon. The project combines digital technology and social interaction for the benefit of every community. It connects blind and visually impaired people with sighted volunteers, who provide an extra pair of eyes in order to help in everyday situations. The app allows a simple method for making a video call during which the volunteer can help the blind or visually impaired person with everyday work while promoting socialization and friendship. The 2nd Danish innovation project that won an award in the Go Green category is Fresh.land. This time the Danes created an online platform that works to help farmers sell their products to retailers directly. The platform has replaced “the middle man” and shortened to a minimum the time between food being produced and food being consumed. This way the platform shortens the long supply chain that is responsible for the fact that up to 40 percent of all food produced goes to waste. Way to go Denmark – you have provided a solution that is satisfying both for producers and consumers. The consumers can be happy knowing that because of this faster method of distributing food there will be a significant decrease in the level of chemicals added to products and the level of CO² emissions, and that less food will go to waste. In the end we have to give a hand for all the applicants of this year’ European Youth Awards, and we hope that this great initiative will keep on growing and attracting more and more awesome youth innovation projects to award and promote each year.